Self-care is a crucial part of life. It can make the difference between feeling cool, calm, and collected or wanting to pull your hair out every time something else gets added to your to-do list. During the holidays, this is truer than ever. Though the holiday season can bring a lot of joy, many Americans feel that they are more stressed at this time of year. Instead of accepting being stressed as part of life create some small (but significant!) self-care habits. Remember, stress can even affect your pelvic floor! We’re not just talking about getting your nails done or spending 20 minutes meditating every morning (though these are greats ways to practice self-care). 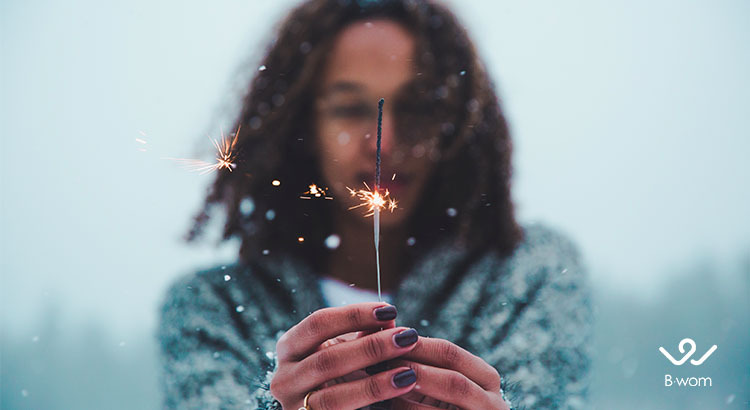 The kind of self-care we like to practice during the holidays is more about allowing your whole life to be centered around your own well-being. Why? Because you can’t take care of others if you don’t feel your best. Here are 6 self-care tips that will make this the best holiday season ever. From Halloween to New Year’s, it sometimes feels like your whole life gets thrown out of its normal routine. With more to do and the same 24 hours in the day, it’s so easy to let exercise take a backseat to other more pressing matters. Do your best to keep your normal exercise routine, though. Getting your blood pumping will give you energy, boost your mood, and make you feel a lot healthier through all the chaos. Incorporating exercise into your life during the holidays doesn’t have to be stressful. It can be a festive activity of its own. Take your family on walks after dinner and see how many decorated houses you can find or play football or soccer in the backyard. At the very least, make time to do your personalized Bwom exercises! It just will take you 10 minutes and you’ll feel your not losing your center. The holidays are one of the busiest times of the year. You’re planning a festive dinner for your whole family, have to pick your mom up from the airport, and go gift shopping. Add all of this to your already long to-do list and it’s no wonder that so many people feel more stressed during the holidays. One way to practice self-care that will keep you feeling calm is to be fully present in each moment. Practicing this kind of mindfulness will help you enjoy everything so much more. Though your mind may be going in a hundred different directions, staying in the moment will help you find more joy. Whether you’re baking cookies with your kids or answering work emails, stay in the moment. Focus can relieve you from stress. You don’t have to do everything yourself, ya know. Enlist the help of the whole family to tackle your holiday to-do list. Your significant other is just as capable of running errands and cleaning the house as you are. Your kids, depending on their ages, can help, too. Find age-appropriate activities that serve as double-duty – entertainment for them, a break for you. Whether you have them putting stamps on the holiday cards, raking leaves, or helping prepare a holiday meal, you’ll be creating precious memories for them while giving yourself some time to breathe. Learning to ask for help when (or before) you need it is a self-care practice that will last a lifetime. One of our favorite parts of the holidays is all the delicious treats that we don’t get during other times of the year. Pumpkin pie? Yes, please. Eggnog? If you insist. There’s nothing wrong with indulging in your favorite sweets but, a good act of self-care is to indulge in moderation. You’ll enjoy everything a lot more and you won’t have a sugar crash that leaves you feeling tired and irritable. Keeping yourself balanced by eating well and staying hydrated will help you feel on top of your game all season long. How often do you find yourself saying “yes” and then instantly regretting it? If you’re like many women, we bet that this happens more often than you’d like to admit. You agree to a volunteer event, 3 different parties, and to bake 6 dozen decorated cookies for your child’s holiday bake sale. Whew. That’s a lot of obligation. Practice self-care by declining any invitations or requests that you don’t really want to participate in. You’re under no obligation to be superwoman and when you say no to things you don’t want, you’ll have more time to spend with your family… or in a bubble bath with a glass of wine. Sleeping in an extra hour, making time for a night out with just you and your significant other, or curling up with a good book while a friend watches your little one. Relaxing is the perfect act of self-care during the holidays. When the world is busy doing, carve out some time to just be. You’ll feel more refreshed, happier, and way less likely to snap at your in-laws when they give your child candy before bed… again.